I leave you with these verses from the Bible that I learned way back when I was in grade school. They remain some of my favorite in the Bible today. I’m sharing it in the King James Version since that is the version I used in the 50′s. ht: Walking With the God Who Cares, Catherine Martin. What a wonderful story, one that I would love to share with someone today. John 14:2 is very like the one you quote and, in fact, is my favorite scripture. How wonderful to read this today; I'm going to share Mr. Fuller's writing on my Sabbath Keeping today. Thankfully, I also have hold a clear title to a bit of heaven but, like Daddy says, "I'm ready to go but I'm not homesick." Thank you for sharing this unique perspective on Heaven. When my dear Mother in law passed away many years ago I was comforted by the thought that she had preceded me to a place I just hadn't yet been yet. 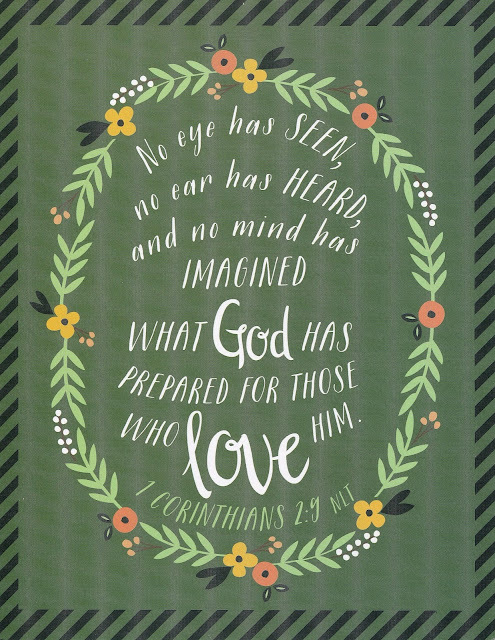 The verses in John became fresh in my heart as I read this story you shared today. Such peace in the Hope we have. Blesses assurance of God's faithful presence in the valley. Eternal security......what joy. Thank you for sharing that, Ellen. It is one of those unique perspectives that drive the truth home with such clarity and stir of emotion ! With a thankful heart, I know I have a piece of property there too - and I look forward to going 'home' ! Beautiful hope for tomorrow that gives strength and purpose for each of our todays.